When it comes to dedicated servers, there has always been a problem with upgrades. Generally, you are stuck with the hard settings you order. RAM, HD, Processing power are all locked down. When you need more resources, you must take the server offline to get your upgrade. Even worse… you are stuck with those resources for at least a month. If you only needed more RAM for a special project or increased traffic during the holidays.. you need to then again take your server offline. 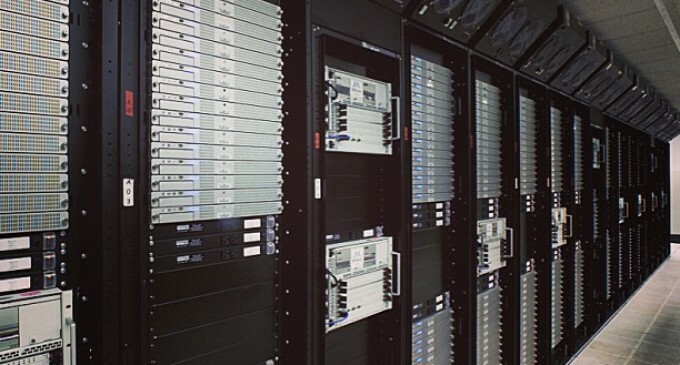 Q: What if you could get your own truly Dedicated Server that was scalable? Codero Hosting has just launched brand new dedicated servers (Smart Servers) utilizing the best of cloud hosting technology. Again, these aren’t shared servers… you get the entire server all to yourself. Cloud computing flexibility- Scale when you need it, in minutes, with a click of a button. Handle peaks, upgrade your hardware. Security- Smart Servers are 100 percent dedicated to you, so your data integrity is maintained. High disk input/output– Run high input/output applications without compromising speed or performance. Instant deployment- Automated server provisioning within minutes, and with a few clicks. Hassle-free migrations- Migrations or addition of a Smart Server occur in minutes, instead of hours or days. Private networking- Ready for multiple server configurations in a private network. Simple, web-based management- Visualize the OS startup screen, diagnose system performance, reboot or do a reinstall, all in a few clicks, and in minutes. One of the coolest features (I think) is the private networking option. This allows you to have multiple servers and run the backend services on private servers connected to you main public server. Many people like to run database servers segmented off the public network. Multiple Smart Servers at Codero.com would make this easy to setup. Most dedicated servers currently require a second network card with cables ran directly to the other servers. With the Codero.com technology the servers don’t even need to be in the same rack! Over the years of managing my own dedicated servers, I can’t tell you the frustrations faced when needing a simple reload. The process is cumbersome, requires too many hands in the pot, and takes FOREVER. Cloud based technology that Codero Hosting is using allows you to reload in minutes, not hours. Now you don’t need to depend on DC techs to ‘get around’ to loading your server… and the inevitable issues that arise like driver incompatibility and processors not liking your OS. To be honest, this has been needed for a long, long time.. the cloud technology only places a minimal strain on the dedicated server. The server runs faster than a cloud server because the disk IO isn’t shared with hundreds of other customers. I encourage you to take a look at their offerings. Pricing is affordable, and your stress level is going to be reduced greatly.